Durable seating is a must outdoors — and it doesn’t get much more durable than a concrete chair! Nothing makes a home’s outdoor space feel comfortable and inviting like furniture does. But Mother Nature is pretty unpredictable! Sunny days can turn into rainy nights. The same clear skies last week can produce hail and snow this week. So durable outdoor furniture that can face the elements and stand the test of time is a must. And that furniture doesn’t have to cost an arm and a leg! Our friends at Quikrete share a great DIY project to prove the point. 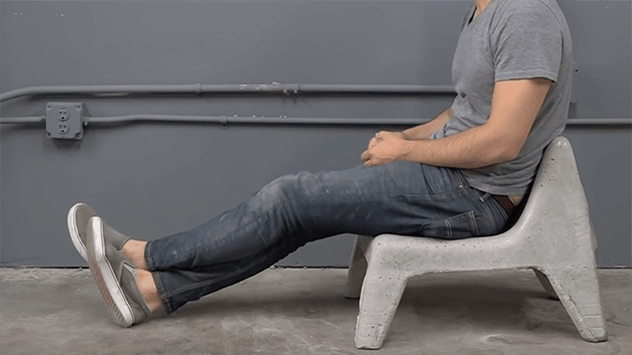 It involves casting a concrete mold from a cheap plastic chair. The results will last for generations! Now, on to the step-by-step guide!